In 1974, Atlantic County voters changed the county governmental form under the Optional County Charter Law to the executive form. The charter provides for a popularly-elected executive and for a nine member freeholder board, responsible for legislation. The freeholders are elected to staggered three-year terms. Five of the freeholders represent equally populated districts; four are elected from the county-at-large. An accurate record and central repository of the official actions and vital records of the Atlantic County Board of Freeholders. 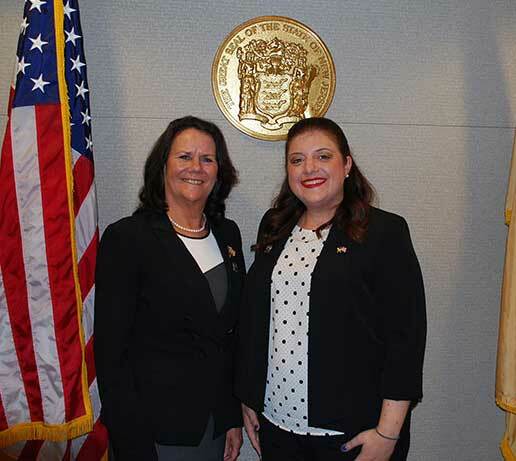 2019 Board of Chosen Freeholders Vice Chairwoman Maureen Kern and new Chairwoman Amy L. Gatto. 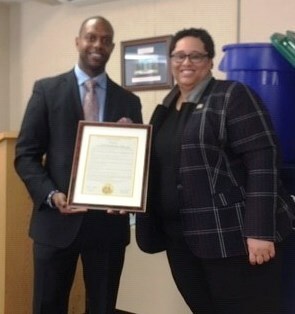 The Board of Freeholders recognized National Crime Victims’ Rights Week, April 7-13, 2019, with the presentation of a proclamation to Raymond Royster, Victim Witness Coordinator for the Atlantic County Prosecutor’s Office on March 26.